Feeling like productivity is lacking in your workplace? Clutter could be the root of your problems. A big clean out can feel like a massive task, but it will definitely be worth it in the long run. Creating a clean and tidy office space will work wonders for you and your employees, helping you get the job done quicker and to a higher standard. Read on for our top tips on how to decrease clutter and increase productivity at work. If you’re looking to increase office productivity, de-cluttering is the perfect place to start. It will give you a clean slate, so all you have to do is maintain the space. Our tip is to separate the office into easy, manageable chunks and sort through everything that has piled up over the weeks, months and years. Use resources on the internet to discover functional and efficient filing systems for all the documents you need to keep, and hire a mini bin to easily dispose of whatever you don’t. The trick to keeping your office productivity up is maintaining the space after your de-cluttering project is finished. Studies show that productivity is drastically improved in a clean, tidy and organised space. Make sure everyone in the office is aware of any new filing and organisational systems, and ensure they stick to them. A little effort every day is all it takes to maintain a beautiful, productive office. A comfy office chair and the right desk can make all the difference when looking to increase productivity at work. If your furniture needs an update, why not bite the bullet and upgrade now? It will more than pay for itself in the benefits and rewards it will give you and your staff. Try to donate or repurpose any old furniture. If that’s not possible, consider hiring a skip bin. It’s an easy and cost-effective way to dispose of that old furniture to make room for the new. Your local mini bin company can ensure you get the right type of bin for this kind of waste. Why not go the extra mile and decorate your office in a way that will foster productivity for you and your staff? Try adding some low-maintenance indoor plants to liven up the room, reduce stress, and increase creativity. This is a quick and easy way to make your office a much nicer place to be, which will inevitably increase the productivity of your staff. Follow these tips and you’ll be amazed at the results! 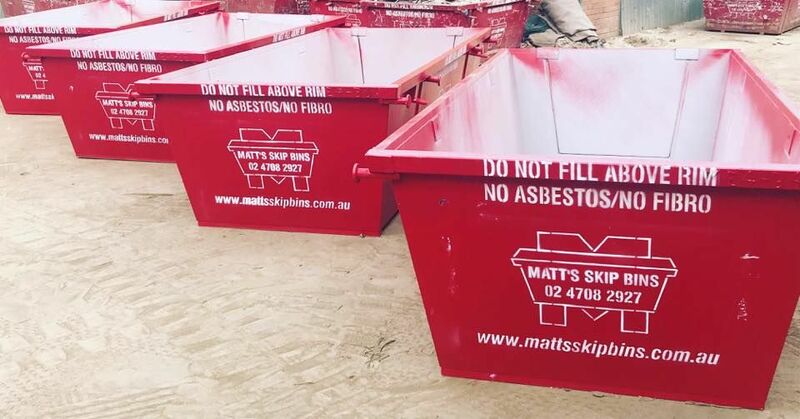 At Matt’s Skip Bins, we can make it easier for you with our selection of mini bins. We’ve got a size and type that’s perfect for your office project, and we’d love to help. If you’re located in Western Sydney, get in touch with us today for cost effective, flexible and office waste solutions.